073: How Long Do I Need to Recover? We have talked extensively about ways to improve on this show. We have episodes devoted to training paces and ideal workouts for different distances. If you search the internet, you can find lots of resources and opinions on this topic. Check out social media and you can find a slew of athletes announcing their latest workout or training plan. That is not the point of this episode. On this show we are going to discuss the often neglected aspect of athletic growth. This episode is all about recovery. As we have covered before, the workouts you put yourself through are important, but the body actually improves during times of rest and recovery. To fully benefit from a hard effort, you need all of the materials to both recover and progress. This includes adequate sleep as well as plenty of healthy food including proteins, carbs, and fats. Plenty of people alternate easy and hard days and feel like they are in charge of proper recovery. However, if that easy running day has no sleep and super high levels of stress and anxiety from life, it is not a recovery day, no matter how short the run or easy the pace. Fitting recovery within the time constraints of real life is a challenge we have discussed before. How can you combine strength training, speed training, long runs, and still have sufficient recovery? As a general rule of thumb, following speed days or long days with strength on the “recovery” day is a more dangerous approach, but is manageable. It would be great if you could put strength on the speed day and then have a complete physically easy day. Angie covers her general weekly plan in the show on how she integrates strength training, running, and recovery. The final point on day to day recovery is to err on the side of more recovery. The negative is that you will not progress as fast, but at least without frustrating injuries, you should progress steadily forward. Which brings us to the second portion of the episode... seasonal or cyclical recovery. This section starts right where the first section ends. Consistency is the key to long term success. It is much more satisfying to keep moving forward rather than be sidelined on a regular basis due to injury or complete mental burnout. When coming off of a forced break from mental or physical breakdown, athletes are prone to jumping back too fast. They go all out on early workouts bolstered by the first signs of returning to previous form. Soon enough, they are injured again and forced to the sideline. You can’t reach a major goal if you are always in rehab. If you want to reach a goal, slow down and take smaller steps. Don’t feel the need to change the goal. You may simply need to alter the timeline. If you maintain the long view and see everyday as simply a chance to move closer to the destination, you are more likely to take the needed recovery and stay injury free. Finally, the idea of a major break. In the episode we talk about how elites take 1-3 weeks off following major marathons and compare that to real life runners. We talk about the breaks both of us took following the Key West half marathon and where that puts us on the path to our next challenges. The big takeaway is that even if you are running regularly, real life runners need a break from the grind of a strenuous training plan. They need the freedom to sleep in, run whatever distance or workout they feel like, and eat whenever they want. Periodic breaks in training, whether several days of complete rest or a few weeks of running without any plan or goal, will not derail your fitness. They may be the best thing to get you excited about starting up again and chasing the next goal. We have SHIRTS! 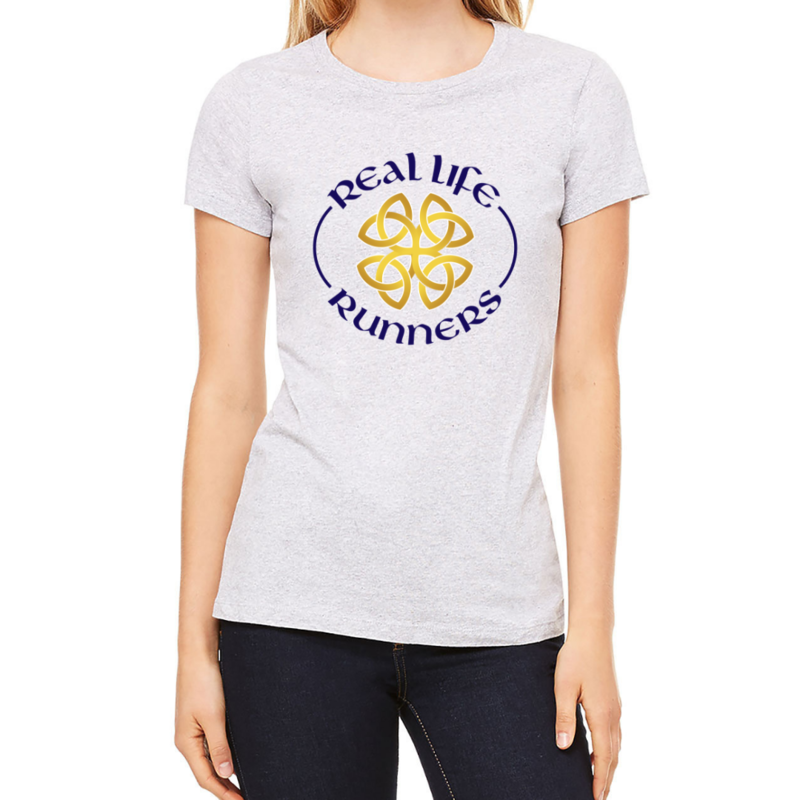 Show your Real Life Runner Pride! Don't forget: The information in this website and podcast is not intended to treat or diagnose any medical condition or to provide medical advice. It is intended for general education in the areas of health and wellness. All information contained in this site is intended to be educational in nature. Nothing should be considered medical advice for your specific situation.